"I'm advanced user of Kubernetes "
It's lightweight comparing to the others "cloud" apis, you can easily change scheduler behaviour. There's no really something what I don't like. Maybe there's no central log managment software which can be easily deployed on the k8s cluster. It's much easier to deploy and administrate then the mesos with a lots of framework. We are solving scheduling problems depended on the hardware information. based on that we are going to influence k8s scheduler or mesos scheduler. "Great and customizable infrastructure management framework"
Kubernetes does a really good job when it comes to container orchestration. It offers vast amount of feature sets, which allow applying modern container-based management techniques also for older applications. Being able to write custom operators allows to deploy very sophisticated infrastructure lifecycle scenarios. It has reduced time-to-live for our services by the order of magnitude. It also helps to avoid vendor lock-in and allows easy portability of your tech stack between various infrastructure providers, both in cloud and on premise. This technology is, as for today, still pretty new and amount of experienced specialists on the market is limited - but growing. If you switch from server- or VM-based approach, you might need to re-think infrastructure lifecycle management approach - it's pretty different with Kubernetes and might seem problematic in the beginning, but in end effect it forces you to architect your infrastructure in resilient way. If you want to start using Kubernetes, you might need to re-think infrastructure administration. It might seem to be irrational in the beginning, but you might want stop using older configuration management systems like puppet/ansible/chef/saltstack and re-think your application and service delivery towards containers and CI/CD pipelines. Docker deployments in production become really complicated when it comes to stateful applications and databases. Kubernetes integrates really well with several cloud vendors and open source software for on-premise deployments. It allows extreme portability between such environments without vendor lock-in. "very effective way of organizing application in containerized environment"
1. Issues faced while installing some times. Try it. It is worth time and effort. It gives you all the things you are looking for from an container orchestration software. It manages your applications in a pod effectively and will provide reliability in a production environment. Used it to integrate our SDS solution as a provisioner for dynamic provisioning of volumes on our storage as an external storage provider. This helped in providing data reliability and availability to applications using external storage. Also now utilizing dynamic provisioning, any storage backend who provides multi-cloud multi-site capability becomes easily available to containerized applications. "Barely made it to work a on-premise cluster"
The cluster networking and pod orchestration. After its up and running, there is nothing else to maintain. Only works on some specific platform or distro. Sometimes, the whole cluster breaks after upgrade, have to look into logs, search and fix for incompatibility. For on-premise users, the Ingress only works for HTTP web services. For on-premise deployment use Kargo. Otherwise, use GCE or AWS for a managed cluster. Dev and Test environment for DevOps. Kubernetes helps us a lot with Infrastructure as code concept. We can deploy a specific version for testing within minutes. Have multiple version concurrently and easy for after testing clean up. "Shot for the Stars...isn't quite there yet"
I like the overall ease of scaling as well as the assurances that containers will restart if failed. The extensibility via the API is useful, you can almost build anything you want with it. It's extremely immature (very buggy), the networking is just...painful, the scheduler is dumb and slow; those are my technical dislikes. My personal dislike is the overall lack of cohesive documentation as well as the assertion that just because there hadn't really been a container orchestrator, doesn't mean that Kubernetes is the end-all right way of doing things. Personally I do not think it is ready for enterprise deployment, at least not when it comes to using petabytes of storage with terabytes of RAM. Kubernetes may be good for a web server front-end farm, or even scaling short internal processes for short periods of time, but as a general platform, it's more of a primitive PaaS then necessarily a comprehensive PaaS solution. Don't deploy it internally, deploy it on GCE or AWS or some other solution. It's not simple, and it's not easily maintainable at this point in time. It's updates are frequent and hard to keep versions updated. Developing on it is a nightmare because it's inconsistent, and it's easy to have containers/pods get into crash loops with unavailable logs. I have deployed countless times and gotten stuck in crash loops that I'm not sure how to solve because the logging either doesn't exist or isn't available. It's not that Kubernetes isn't headed in the right direction, necessarily, or that things are done incorrectly. It's very immature and needs a lot of time to mature before using it in an enterprise capacity. None that couldn't have been solved via other means, and at this point, there are no real benefits. Our business solution could've gone with something else and been just fine. "The best container orchestration tool currently"
Kubernetes is a sweet spot between flexibility and simplicity. Especially service discovery is made very simple. Competitors often are either to simple (Docker compose, swarm, fleet) or too complex (Marathon). Once it is up and running, low-level sysadmin work and high-level devop work is clearly separated. Because of this separation, it enables even a single-person company like mine to offer on-premises services. In the very volatile container world, Kubernetes is a quite reliable project with 100+ monthly contributors to its source code. Besides, being only an API at its core, it can run on top of other software (e.g. OpenStack's Magnum), so that you don't have to change your deployment code, even if the actual orchestration scheduler changes. If possible, use the 60-day test period for the Google Container Engine (GKE). Then, you don't have to install Kubernetes yourself, which is not easy. Instead, you can focus on testing Kubernetes per se. Alternatively, use Amazon's AWS, for which a simple working installation script is provided. I'm looking for easy and reliable deployment of my web service. This includes the production instance as well as many testing instances. With Kubernetes, I avoid the hassle to take care on low-level sysadmin work. Instead, I just deploy or update my containers, which automatically find each other and the connection to hard disks and the Internet. "My FAVORITE deployment tool EVER"
2. All in command lines. I have no problem with it, but my workers have been complaining about. "Kubernetes is a good product"
It is a active openstack source project which mean you can looked into the code when you have any confusion and even contribute to the code when you want to add more features. Besides, It is also very easy to use, everything integrated with GCE or GKE very well. Documentation is not enough. It is very easy to use Kubernetes in GCE or GKE but not other cloud providers or other private cloud. What Kubernetes does is mainly load balancing and auto scale, there are not enough motivation for some small companies to use it. We did not use Kubernetes directly. What we did is integrated our components or products with Kubernets. The help to monitor the dynamic usage other metric in Kubernetes. Our product can make customer to better monitor and use their Kubernetes cluster. "Best in managing Docker container"
Really easy to use and helpful in orchestrate Docker container making it suitable for enterprise environment. Now supported by Docker natively. Documentation can improve and graphic configuration tools as well. We are experimenting Kubernetes as a main tool to manage and orchestrate container as a part of a full architecturel reference model for microservices development in a scalable and fully monitored environment. "Straightforward Container Management & Deployment"
K8s is very well documented and any issues that arise are typically solved by reviewing the documentation. It's well supported by Google. Forced upgrades are sometimes a problem. Google will by default upgrade a k8s setup to the newest version, even if you're not fully ready for the change. It's frustrating, but can be worked around. It's google - so you know it's done right. They manage a huge infrastructure with this software, so it will likely handle your containerized platform requirements. K8s allows us to easily manage and monitor our cloud infrastructure, and deploy updates. "Best for orchestration of docker containers. " Easy to Configure . It handles the load flawlessly. Very rich set of features to have a feel of powerful data center. Mainly it also has very nice support from developers team , Community is really helpful on providing solutions on every problem. Nothing . But one thing is , it is growing too fast . So we have to keep track of the architecture changes in K8s with newer version . But each version comes with great features , so it is worth it. Try to go through the documentations quickly , and if the features you require are available , use it for sure . 1. I am doing research on Docker Orchestration. So for now I am trying to contribute to the K8s , scheduler , making highly dynamic . I am adding feature of self learning pod(Containers) , where pods can learn the resource usage stats of the machine and migrate themselves on better machine on need basis. 2. I have also a deployment of K8s on bare metal servers , to handle (experimental) traffic. "Well-architected platform for container orchestration"
The design is very well thought-out. I really like the abstractions of Pods, Replication Controllers, and Services. They have thought through a lot of issues like zero-downtime deployments, log management, API versioning, and other details that make me think they're architecting it well. I like the Kubernetes design a lot better than what Docker itself is doing with Swarm. Secret management still needs some work. There was some functionality like rolling updates that was only in the client in v1, and wasn't available in the API until 1.2. The setup for Kubernetes is a little complicated, and it takes some time to understand its architecture. But once you spend the time to get it up and running, it's fantastic. My company has a service-oriented architecture, with ~50 applications that run in datacenters with several hundred servers. We were looking to run our apps on Docker, but realized that orchestration is important when dealing with that many apps. Kubernetes is making it easy to create a single control plane that works both in cloud environments like AWS, and also bare metal servers in colo datacenters. "Most powerful docker cluster management system"
Most of the features are related to PaaS features. 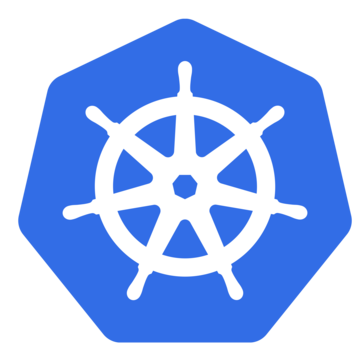 Within few months Kubernetes community has able to deliver lots of features that helps to manage linux containers. There are lots of developers from around the world already contributing to Kubernetes. So it is a very good opportunity for the people who like to work on linux containers to get together and create a solution that will change the industry future paths. It is very rapidly developing project. There are lots of contributions for the project coming from around the world. It is good for the project. But for me with the time constraint it is really hard to follow the development work. Kubernetes is the most powerful tool for linux container management for the coming years. Within few years K8 community has able to attract developers from around the world. It is the turning point for the industry and I hope more people will use K8 in coming years. Community is big enough to help you to achieve your business goals as well as to achieve your personal goals. I have deployed some of the services such as php, hadoop, hbase, tomcat as docker containers in Kubernetes. Even cluster discovery helps to create clusters within products. Rolling update is a very good feature to apply a patch for a container. Cluster discovery mechanism helps to come up with extensions for hosting products. "Using Kubernetes for local development in Vagrant VMs, and production environments on Google Cloud"
Advanced container scheduling, resource quotas. I can deploy to any environment running k8 cluster, virtually anywhere. Complicated installation process outside of google cloud, had to rely on custom scripts to provision k8s clusters locally. Complicated gcloud and kubectl command hierarchy, developers not familiar with it had some hard times, we simplified things a bit with custom Makefiles for some commands that we're commonly using. Local Development environments are virtually the same as environment in the cloud, we were able to develop products that are integrated with our deployment solution from day 1. Cleaner, environment-agnostic application configuration, less polluted code. "It can be used quickly and efficiently to spin up a full environtment from code"
With the proper automation; you can have a simple script you can give a dev or anyone that will allow them to spin up virtually anything prebuilt and ready to go. Including clustered items, and items that have dependencies on other items. I haven't run into anything that makes me have an issue; I suppose a GUI would be nice for some people; but there are tools out there for that. Give it a try; even at a small scale locally its very useful. Replicate infrastructure as code, quickly and reliably in any environment. Kubernetes has good documents and good community on github and stackoverflow. It's very easy to install with AWS, and build-in with GAE container services. Once you have a K8S cluster running, you can deploy the whole stack of applications with one YML file and one command. it doesn't come with a build-in network solution. expose a service to public is not same experience across different provider. if you are using GAE and docker. Kubernetes is your first option. I was deploying some docker container to the cloud. K8S provides a very good support to manage docker containers, and provide an abstract layer for service. we tried with docker swarm 1.0 and some customized script to manage docker containers. but nothing is stable and easy to manage like K8S. "Easy way to deploy containers"
The way that we can describe the entire deployment of the application is very good. It is easy to write and easy to understand. Another good point is how easy to replicate the environment in another cluster. The documentation isn't good. It's hard to find good information online. Since the product is changing a lot, we almost always get outdated information. Deploy of complex applications that run inside containers. "Genius tool for realising the benefit of containerised apps." Automating the deployment of a Kubernetes cluster on almost any cloud provider is well documented. With cluster addons provided for common requirements such as ELK (logging), Heapster (monitoring), Kube Dashboard (UI) and Registry (private Docker registry) it's easy to get a basic platform up and running. Lack of supported cloudformation templates or deployment recommendations for running a multi AZ cluster along with a HA master. Current advice is to run multiple seperate clusters, one in each AZ, with federation of clusters coming in a future release. Kubernetes was the container platform of choice for deploying stateless microservices, which can be updated independently in a consistent and reliable way. It enables businesses to release more frequently and with greater confidence - if it worked in dev it will work in prod. "Great development leads, community, and usability"
Kubernetes provides tooling around the docker ecosystem that makes it the best way to deploy apps in the cloud. There are some missing or experimental features which are still in development. Run-to-completion jobs are still experimental and Kubernetes still needs some work to host legacy services (e.g. RDBMSs). Kubernetes can take care of many distributed problems for your applications (e.g. service discover, leader election) with minimal changes. I have worked on the kubernetes project itself and used it for conducting small-scale experiments on a distributed storage system. So far, everything is straight forward and easy to use, nothing I can say I dislike. Possibly dislike the lack of ARMv7 resources. Learn Docker and LXC before attempting to use Kubernetes. Using Kubernetes on ARMv7 on Raspberry Pi 2. A great tool for many uses, something which can be brought into childrens education to learn about docker and container management. "Software that helps building things"
The fact that its not well marketed. Many software engineers are still unaware how this could benefit them in their day to day practices. "It is a great manager to manage clusters"
"Kubernetes, great for small dev-ops teams." We're using it with CoreOS and k8s adds so many great features on top of CoreOS such rolling deployments, service announcements, load balancing. We were planning on implementing a lot of these internal so k8s saved us a lot of time. Setup was a little confusing at first on AWS, but after getting over that hurdle it's a joy to use. Spend a little time setting up a local test cluster and play around with different deployment options before approaching the hosted option. As a small startup, every little bit counts. So the ability for k8s to solve a whole host of DevOps problems with a single guy is incredibly useful and makes continuous integration a breeze. "A Kubernetes user with cluster 200 pods running in production"
The ease of scaling container across cluster; Rolling-update without downtime is also great. Best for microservices. Kube-proxy performance and not a good choice for stateful services like databases. "the open source orchestration platform"
the most important feature for Kubernetes is its ease of use when you want to deploy your containerized app. it has a very large community as well. at first, it is complicated to understand how to expose application. when you need to easily scale your application. "Amazing for production and development environments"
Containerizing our system was such a great thing to do. Rolling updates and scaling made deployments much easier. We could also mimick our prod environment for development using minikube which made development mich easier with more moving parts. Installation is difficult and there is a lack of documentation..
probably its ability to scale. that impresses me the most. configuration and integration. when the pods come up, it's always a challenge to make sure they're talking to each other correctly, otherwise it's a lot of playing with configs to get things all running smoothly. read all the docs. there's a lot that kubernetes provides. and it's easy to missing something. complicated microservice deployments. kubernetes helps manage the servers and each microservice. "Promising to become one of the standard in distributed application deployment"
Extends the container virtualization to its best. Allows simple applications to be deployed in distributed architecture with higher availability, automatic scaling and failover. Not really straightforward in terms of deployment. Due to constant changes, deployment steps are also misleading sometimes. You have to familiar with Docker to play with this. Application clustering and high availability. 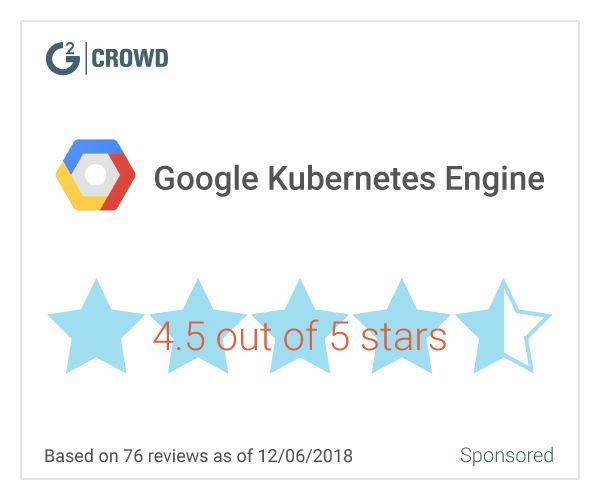 * We monitor all Kubernetes reviews to prevent fraudulent reviews and keep review quality high. We do not post reviews by company employees or direct competitors. Validated reviews require the user to submit a screenshot of the product containing their user ID, in order to verify a user is an actual user of the product. Hi there! Are you looking to implement a solution like Kubernetes?